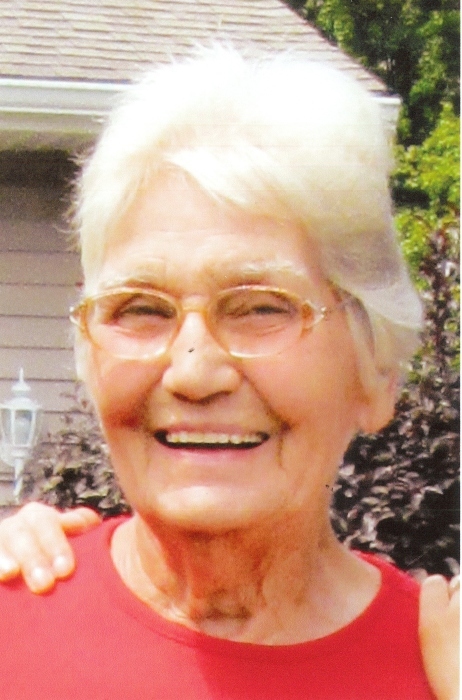 Jeannine Dirks, 86 of Elkhart, passed away on Wednesday, April 10, 2019 at Elkhart General Hospital. She was born March 29, 1933 in Elkhart to Glen and Evelyn (Nine) Clark. She married Marvin T. Dirks on Oct. 10, 1959 in Elkhart. Surviving is a son, Justin (Judy) Dirks of Middlebury, 5 grandchildren, Zach, Ben, Austin, Shae and Larissa and 4 great-grandchildren. She was preceded in death by her husband, Marvin, a son, Ward Dirks, and 2 sisters, Sharon Clark and Betty Beach. Jeannine was a homemaker and dearly loved her grandchildren and great-grandchildren. She was a member of Bristol United Methodist Church. Friends may visit with the family from 10 am to 11 am Saturday, April 13th at Stemm-Lawson-Peterson Funeral Home. Her funeral service will follow at 11 am with Rev. Gary Lewis officiating. Burial will be at Prairie Street Cemetery on Monday, April 15th at 10 am. In lieu of flowers, memorial contributions may be given to the Church. Online condolences may be sent to the Stemm-Lawson-Peterson Funeral Home website.